Many books claim to offer the secrets of a good marriage, but this book offers the absolute truth. Satan is ever striving to blur and contort the truth; modern society is experiencing a shifting toward a culture of divorce. 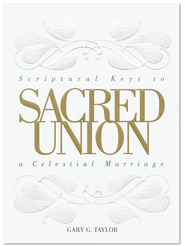 In a way that no other book has, this book provides an eternal perspective about marriage. Noting that marriage can be the most sanctifying — yet the most demanding — experience of our lives, Elder Hafen observes that marriage is “the home room of the earth school our Father created to give his children a place to learn and grow. Families are the laboratories where we test and develop our religion.” See through the confusion in our society and create an environment in which human love overcomes all opposition and lasts forever. This book meets a need for many of us who are adult children of divorced parents (who haven't seen how to forge a lasting union, let alone what one actually looks like), have faced divorce ourselves and are trying to either rebuild with our original companion or begin again. From a doctrinal and spiritual perspective the author teaches "How" and "Why" to secure and protect trust and fidelity in marriage and families. He teaches about loyalty and defines what is realistic in the ups and downs of joy amid affliction as they apply to marriage and family life. An extremely helpful, strengthening, beautiful book. This book was better than I first thought it would be. A friend of mine gave it to me when I got married. I'm glad she did. It is a completely different approach to the subject of marriage than I have read in other books on the same subject. A more mature look at it. I appreciated Elder Hafen's approach. Maybe I was just ready for this book. What a great book on Marriage. It gives great Insights! I loved this book. The author knows what he's talking about. It is not so much about the "how's" of creating a good marriage, but the "why's" and even the "what's", which lead to the same thing -- you want your personal world as well as the whole world to be built upon great marriages. 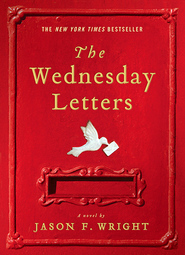 This is one of the best books I've read about the importance of marriage. Elder Hafen does an excellent job on discussing how marriage is necessary for individuals, families and for society. It also talks about the declining birth rates and the problems that is causing. Note this book doesn't give tips on how to improve your marriage. I would HIGHLY recommend this book to anyone wanting to learn more on how marriages are important or strengthen their testimony of marriages. If you're looking for five things you can do today to improve your marriage, 'Covenant Hearts' isn't it. 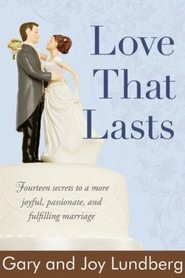 It IS a thoughtful, insightful and profoundly spiritual look at the hows and whys how society has gotten so far afield from its traditional understanding and support of marriage; why it is so important to society as well as to individuals that marriages thrive; and why it is central to God's plan for His children. 'Talking about doctrine does more to change behavior than talking about behavior does to change behavior' and this book provides the deep doctrinal understanding we all need to change our hearts in regard to much of our marital behavior. Highly Recommended.